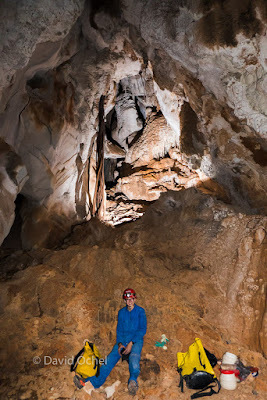 When the quadrennial International Congress of Speleology (ICS) – with its 2017 occurrence near Sydney, Australia – announced their variety of pre- and post-congress field trip offerings, Andrea and I decided to sign up for a three-day adventure in Chillagoe (Queensland), one of the eastern karst areas of the country. A variety of vertical and horizontal day-trip options and the moderate winter temperatures seemed to fit our bill. 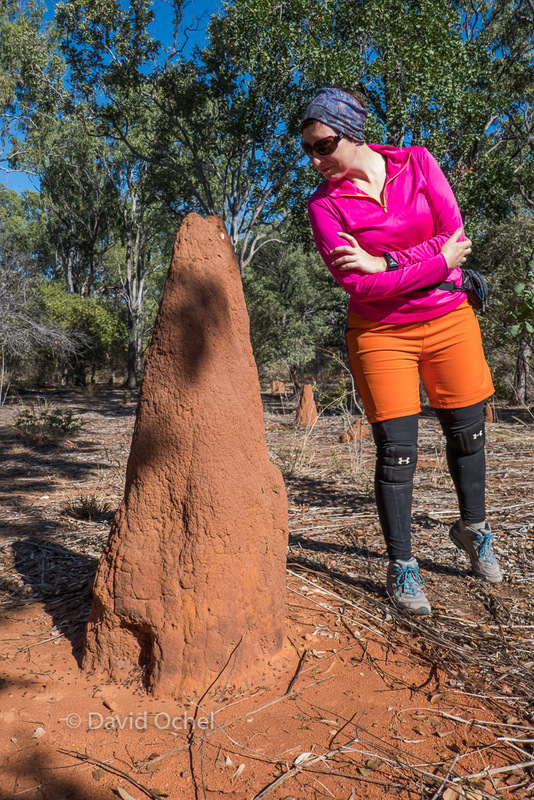 Chillagoe is located inland, about three hours northwest of Cairns, the latter being a convenient travel destination popular because of its vicinity to the Great Barrier Reef. Trip participants (including our Austin friends Geoff and Jean, and a number of new-found friends from Germany, UK, the US, and Switzerland) were picked up by our hosts in the morning of Day 1 in Cairns, and together we commuted in rented mini-vans to the Chillagoe Caving Club’s clubhouse. The club occupies formidable quarters – an old schoolhouse converted into sleeping quarters, principal’s house converted into the kitchen and mess hall, and a newly built bathroom and shower facility, on a spacious lot in the middle of the quaint, little mining town. The karst is fascinating even aboveground – faulting followed by volcanic activity and secondary mineral deposits were shaped over time into karst towers that exhibit sharp and spiky rillenkarren, reminding me of what I had climbed around on years ago in Borneo. 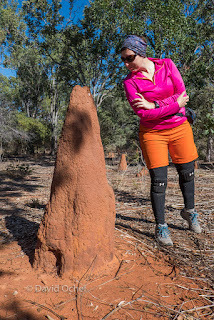 The surrounding land is a savannah that counts such interesting critters as green tree ants and the infamous stinging tree amongst its fauna and flora. Dusty and dry in the winter season, the scenery is altogether very different from the rainforest nearer to Cairns. Cave temperatures were warm and humid – much as in Mexico and Texas, to my liking but to the surprise of some of our fellow cavers from colder regions of the world. Jean was excited to find critters in a small water table sump in one of the otherwise fairly dry caves. We generally returned from our excursions in time for dinner at one of the local lodges or restaurants. 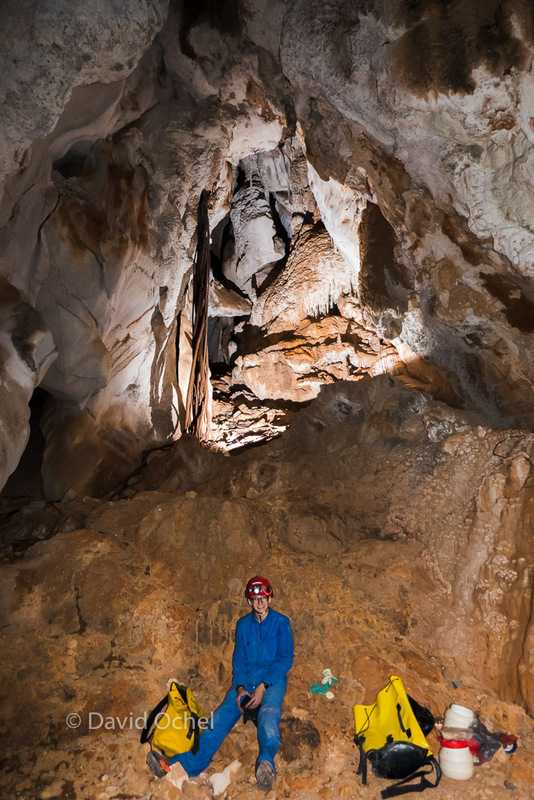 Day 3 saw a short caving trip in the morning, followed by a visit of Chillagoe’s impressively beautiful show caves, which are maintained by the Queensland Parks and Wildlife Service and open to the public by means of guided tours. (Worth a day trip from Cairns!) The rest of the day was spent packing up and driving back to Cairns, ending the trip with dinner in town. Many thanks go to the Chillagoe Caving Club’s members for organizing this unique visit and opening their clubhouse to us; showing us around their caves, karst, and nature; answering our countless questions; having patience with our extensive photo shoots; and generally being a fun bunch to spend time with!